Am in the key of C is called a mode because we are starting the scale in a different place and this gives it a different sound. 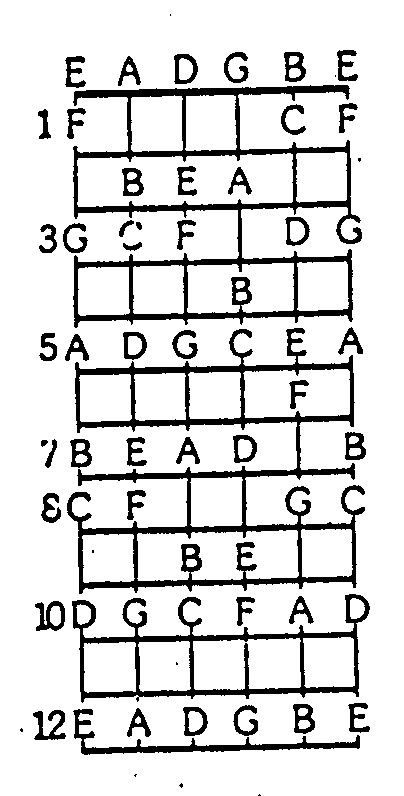 If we look at the notes in C major (or A minor) we can see the chords of the key within the notes. Em at the nut, Am on the 5th fret, Dm on the 10th fret and so on. We are also introduced to the A minor scale and we can use these additional notes with our pentatonic scale. If we look at the Em and the Dm we will see that they have totally different patterns and because of this, different sounds. 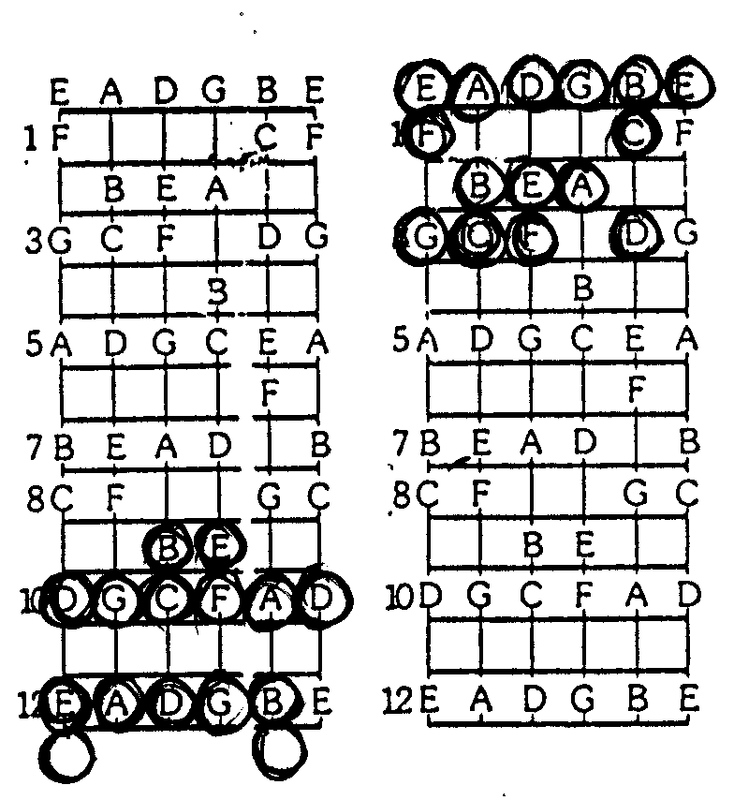 But they also have the same pentatonic shape within them and that’s what makes this 5-note scale so strong. It contains a common element or the same intervals with the other minor chords of the key. 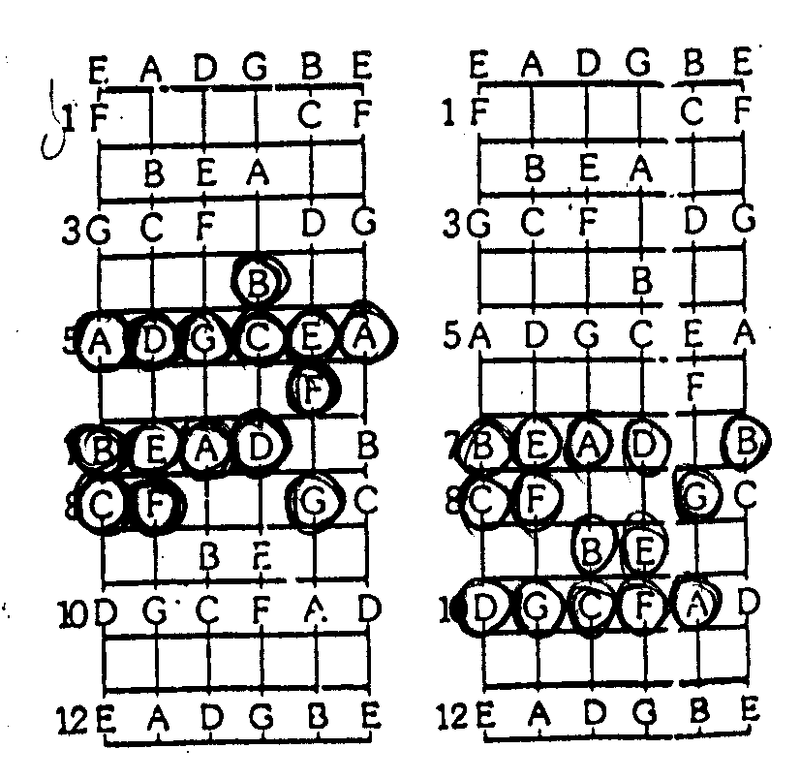 So if you play these scales when you change chords you can play the same pentatonic shape but it will have different additional notes; these additional notes will colour the sound differently. We will need these so we can discuss how we use them in practice.